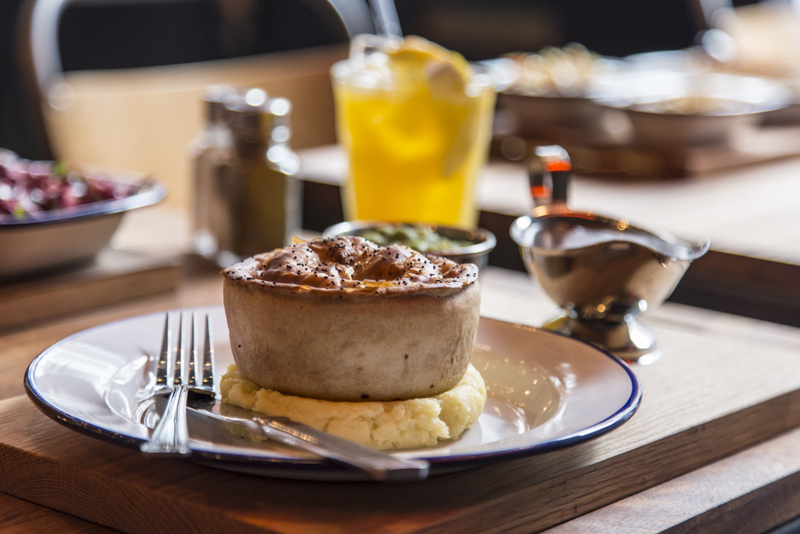 We love Pieminister restaurants. They’re always relaxed venues for family feasts. And who doesn’t crave a steaming pie, mash and mushy peas smothered in gravy once in a while? For the summer season, the scrumptious pie specialists have lightened up the menu in their larger restaurants (including Bristol, Cardiff and Leeds) to include new Ice Cream Pies for dessert. My boys loved the ‘Toffee Apple’ ice cream pie with apple, custard & vanilla ice-cream, toffee sauce and granola. Or you can indulge in a choc-fest with the Glastonbury Mud Pie with rich chocolate & vanilla ice-cream, chocolate sauce and hazelnuts. Also new for summer are salads (I’m sure these are super-tasty but I couldn’t bring myself to order salad in a pie-place) plus cocktails (which I COULD bring myself to try – the ‘Pie’na Colada’ is a refreshing twist on the original with Appleton’s Rum and coconut) and the chance to ‘Pimp Up your Pie’ with sticks of chorizo, courgette fritters, onion rings or halloumi. Here’s to eating all the pies. Does what it says on the door; serves pies! Great article! Will be checking this out ASAP!